The below is from a letter to Disney shareholders that went out yesterday that lifted the veil of secrecy surrounding Star Wars: Rebels just a bit higher. First off, it’s coming sooner than we thought. Summer 2014 will see a series of shorts lead to a a series opener movie on the Disney Channel. After that, the regular episodes will air on Disney’s animation channel, Disney XD, as originally announced. What I’m waiting to hear next is an announcement on Clone Wars “Season 6”. It’s not really a season proper but, it’s not one finale. The last I heard there were going to be around ten episodes to tie up existing storylines (most especially Ahsoka’s) and they were working on them. I imagine they’ll be released straight to Blu Ray, but you’d think they’d want that done with before turning to a whole new epic. Let’s hope we get a announcement on that from Filoni and company soon. This is an extract from the Disney shareholder letter that was sent out to shareholders in hard copy this week. 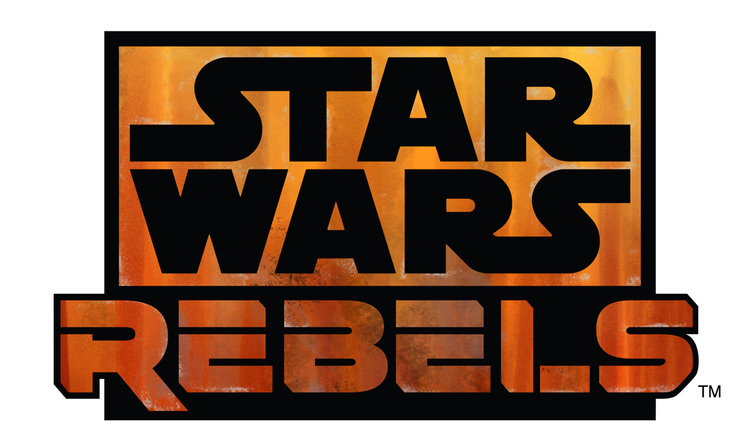 It confirms a Star Wars Rebels movie coming this summer on the Disney Channel as well as a series of Star Wars Rebels shorts (probably to introduce us to the characters in the show) which will also be shown on the Disney Channel. This will be followed by a continuing series on Disney XD as we’d previously expected. The series is set between the events of Episode III and IV — an era spanning almost two decades never-before explored on-screen. It takes place in a time where the Empire is securing its grip on the galaxy and hunting down the last of the Jedi Knights as a fledgling rebellion against the Empire is taking shape. 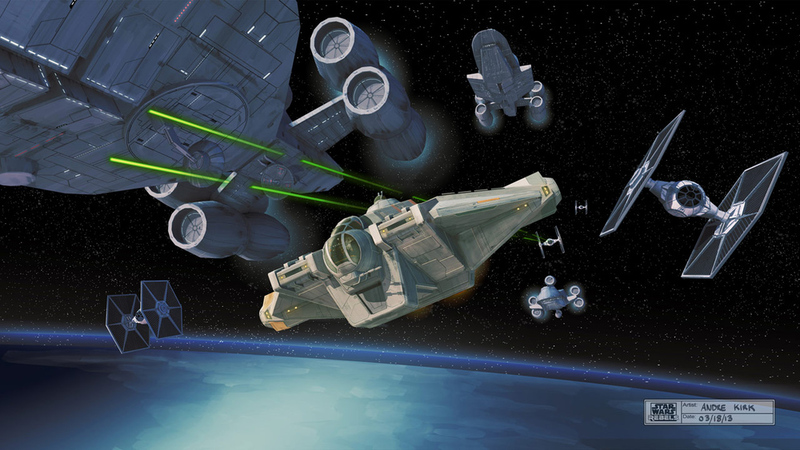 “Star Wars Rebels” will be produced by Lucasfilm Animation, featuring many of the key talents that made “Star Wars: The Clone Wars.” It is scheduled to premiere in fall 2014 as a one-hour special telecast on Disney Channel, and will be followed by a series on Disney XD channels around the world. All other studios need to take note of what Disney is doing. In this increasingly franchise-driven landscape, Disney has used the MCU to break the over-saturation barrier. They have created a franchise that can go on forever and not get old, and never wear thin, even with multiple installments EVERY SINGLE YEAR. They must be as amazed as I am that they hit upon this. The key is having a universe to play around in that is rich and varied enough to reinvent itself with each passing film, even while it remains recognizable. The MCU is making me feel like a kid again. Never in my moviegoing life have I had this feeling, of being in the smack in the middle of something so momentous and exciting. If they can do this with SW, there are no words. I only wish that this was all happening when I was an actual kid. Though, since I am an adult, I probably need it more. Well, I completely agree and the key to the success of the MCU has been long-term planning. They’re planning 6 years ahead of time what they’re going to do. That’s so important. If they can get that kind of system in place with Star Wars and have talented people in place guiding the franchise, there are no shortage of stories. Something that Star Wars also will not have the problem with as often as will the MCU is recasting. The transition after Phase 3 and as the contracts of Downey, Evans, Hemsworth, Jackson, Johansson, etc. expire, they’ll face the sternest challenge to long-term success. If they can figure out how to navigate that, there is, as you said, no end to this. It’s James Bond, but twice a year every year. It’s a franchise that has no expiration date and if Disney could ever get the other Marvel characters back, it gets even better. Spreading it into TV to create an expansion of the MCU there is an especially brilliant step. It keeps characters from clogging in theaters or being shortchanged and allows experimentation with the lesser-known properties, grooming them for use eventually on the big stage. If we get both SW and MCU clicking, then every year we’ll have three to four sure bets which is great for adults and kids. I don’t know if I’d have been happier to have it as a kid, but I reeeeeeeeeeally need it now and I’m excited to be able to share it with the kids in my family.